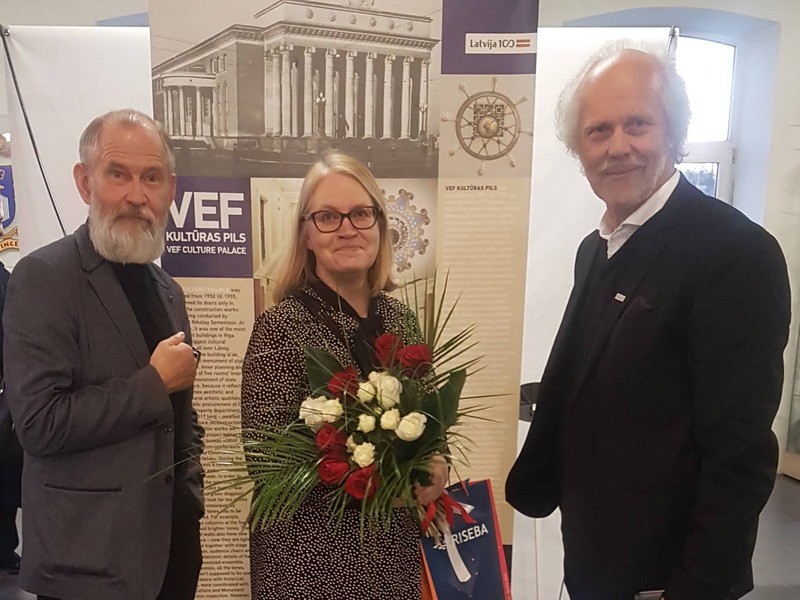 On 16 November the grand travelling photo exhibition “Latvian art of building in 100 years”, taking place to mark Latvia’s 100th anniversary and included in the centenary’s calendar of events, was opened. Everyone is welcome to enjoy the exhibition at RISEBA Architecture and Media Centre H2O 6 until 31 January 2019. 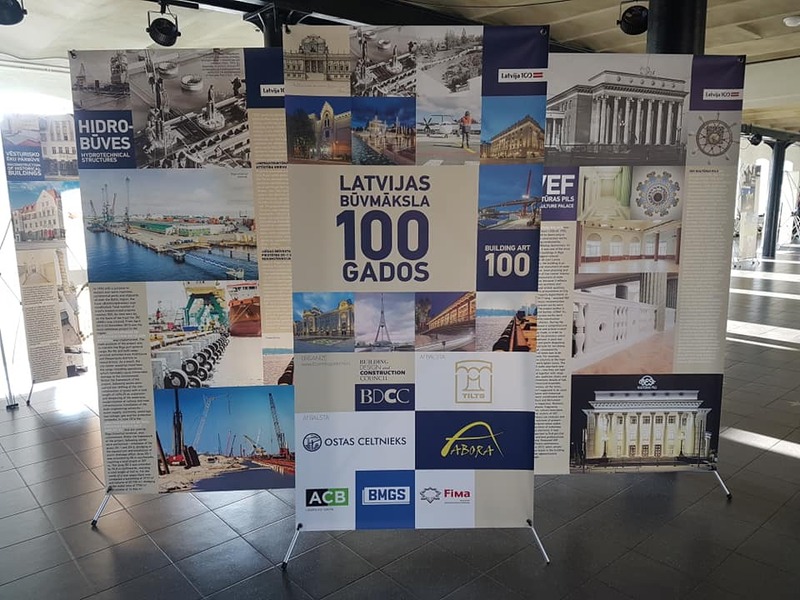 The exhibition’s content consists of photo stories about significant Latvian architectural art of building objects in 100 years regarding their creation, reconstruction and restoration, thoroughly compiling historical and modern, informative photo material. The conceptual exhibition content, taken from across a century, fixates on important Latvian values such as architecture and art of building, the balance of rational and creative thought, which is the foundation of any nation’s existence and development. One of the exhibition’s goals is to draw the attention of vast groups of society in an engaging, understandable manner to high grade architecture, culture-historical buildings, to acquaint them with restoration masterpieces, compare creative engineering possibilities of now and 100 years ago, allow them to look behind the scenes of creating buildings and other objects – the very process of building. The second goal – to strengthen society’s understanding of the undiminished importance of art of building 100 years ago and now – culture and development reaches those regions with the roads built and buildings erected. And Latvia can take pride in special buildings, roads and bridges, even if there is still a lot to be done in these fields. However, the positive examples are inspiring. The term “art of building” was intentionally chosen as a reference to the golden days of building more than 100 years ago, when a large part of Riga City tenements were built and when the architect and main builder were the same person. Art of building can be interpreted in various ways; technological innovations of modern building used for putting architects’ intentions into effect are worthy of this name, indicating a high capacity of creative engineering intellect. Objects exhibited: VEF Culture Palace reconstruction; Art Noveau pearl in Pārdaugava; reconstruction of hotel “Rīga”; footbridges and motorway bridges; hydro structures and terminals; reconstruction of Sparģeļu iela; the grand, modern skyscrapers “Philosophers Residence”, reconstruction of the airport “Rīga”; Museums of Riga – existing and those in construction; Mark Rothko art centre; fountains; TV Tower.